Pacific Migration Visitor Center and the ParkStore are now open Thursday through Sunday! • A portion of the day-use parking lot is closed indefinitely due to a sinkhole. New Brighton State Beach is one of the most-popular and most-visited state beaches in California. 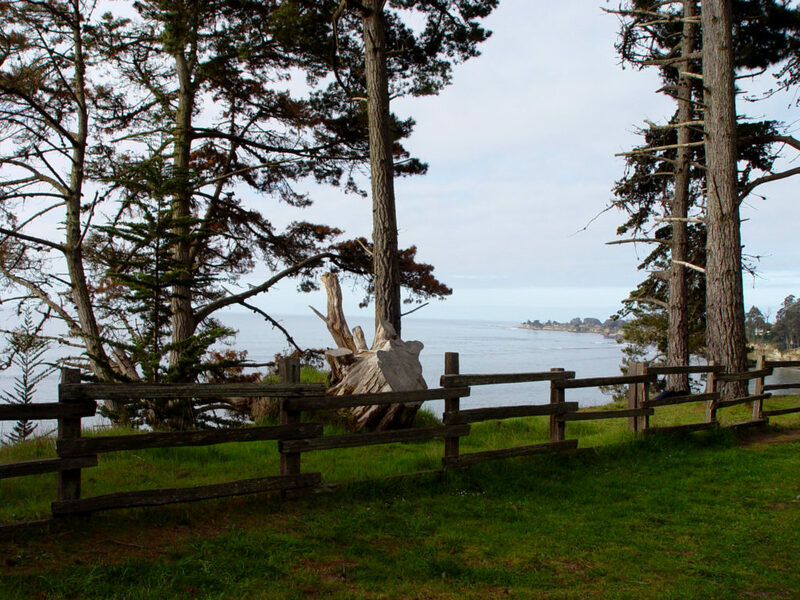 This 93-acre park along the beautiful coast of Santa Cruz offers spectacular views of the Monterey Bay. 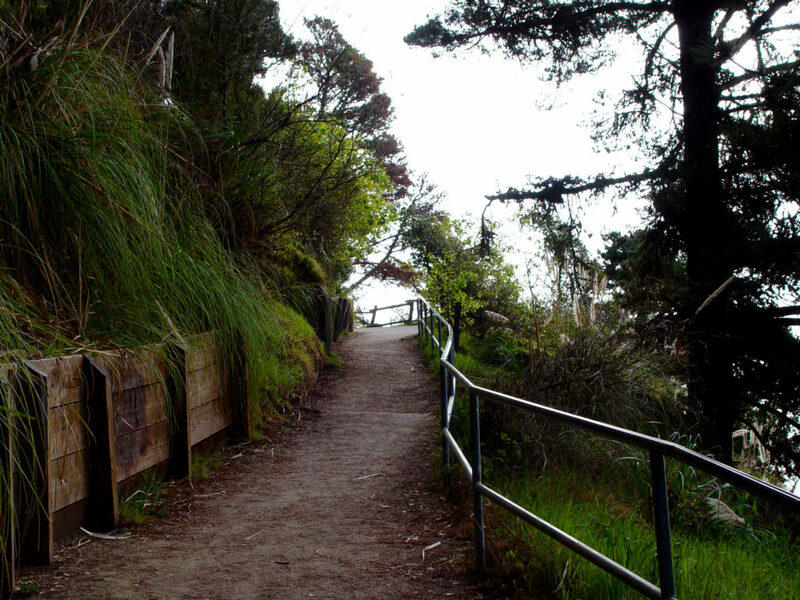 It is known for for its family-oriented campground, which sits on the towering bluffs high above the Pacific Ocean. Beautiful, lush vegetation of towering pine trees, Monterey cypress, oak, eucalyptus trees and wild berry vines surround campers with a peaceful tranquility. Once the site of a Chinese fishing village, it now offers locals and visitors a haven from the hectic pace of city life. 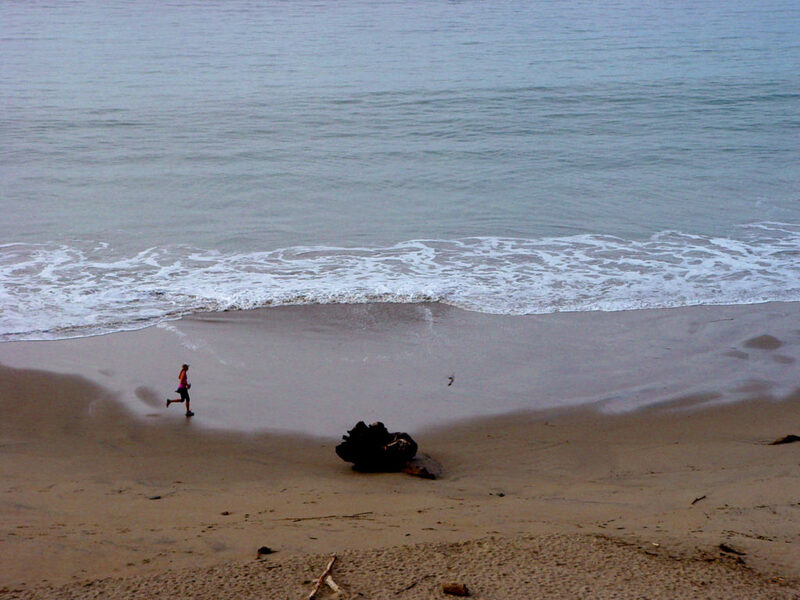 The beach is in the town of Capitola, just south of Santa Cruz. Take the New Brighton/Park Avenue exit off Highway 1 1, turn right at bottom of ramp, and left at first stop sign. Follow the road to park gate. Visitors enjoy swimming, boogie boarding, stand up paddle boarding and, in the winter, surfing. A large group picnic area in the campground area can be reserved for special events. Learn about the natural and cultural history of the area in the Pacific Migrations Visitor Center, located near the campground and open seasonally. Campfire and Junior Ranger programs are offered at New Brighton during the summer. These programs are free. Hours: Open 10 a.m to 4 p.m. Thursday to Sunday. See, explore and experience the stories of people, settlers and cultures that are a part of this region’s rich history at thePacific Migrations Visitor Center. Discover the stories of the settlers and cultures that are a part of this region’s rich history. Call (831) 464-5620 or (831) 685-6444 for more. The New Brighton ParkStore celebrates the sea life and fossils found on the beach, as well as the beloved campground, which attracts locals as well as visitors from all over the world. The store offers a selection with campers in mind, including lanterns and flashlights, cozy New Brighton-branded clothing, books to read around a campfire, and field guides to help identify local wildlife and plants. Sand wheelchairs available — learn more in the Hilltromper Beach Accessibility Guide. There are 109 camp sites of varying size and services available: 97 standard sites, nine tent-only sites for hikers and cyclists, and three group sites. Maximum trailer, motorhome and camper length is 36 feet. Call 800-444-7275 or go online to make a reservation. The back loop of the campground (sites 1-43 and 66-69) are closed Nov. 1-March 31. View the campground map here. School programs are offered by appointment. Call 831-685-6444 or go here for more. New Brighton, once known as China Beach, was the site of a Chinese fishing village during the 1870s and 1880s. The village inhabitants proved invaluable in the building of the California railroad, and provided Santa Cruz with fish, produce, laundries, chefs and laborers. Other settlers took over the village from the Chinese, who moved to Monterey. Commercial fishing slowed after dragnet fishing was outlawed in 1915. 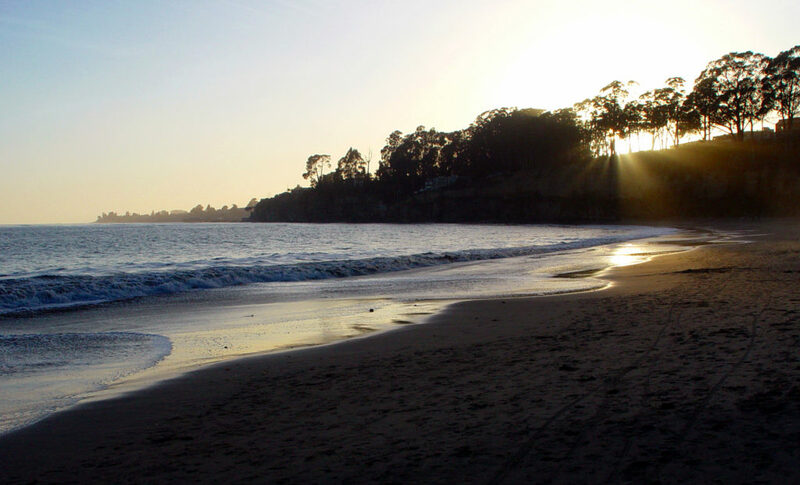 During the late 1870s, Thomas Fallon began development of a small resort east of China Beach. Fallon was an immigrant from Ireland and a former mayor of San Jose. He named his campground Camp San Jose in the hopes of attracting tourists from San Jose. However, the name did not do as he had hoped and in 1882 Fallon renamed the campground New Brighton. New Brighton became a State Beach in 1933. All park natural and cultural features are protected by law and may not be removed or disturbed. Do not feed or leave food out for wildlife. Fires must be confined to fire rings provided in the campground and attended at all times. The speed limit is 15 mph. Vehicles must park on pavement and not on gravel or dirt walkways.